Subir Choudhury Curatorial Practice Grant 2018 has been designed to encourage and support the young curators of the country. Named after Late Subir Choudhury, one of the trustees of Bengal Foundation, the grant was initiated in 2015 for young artists. 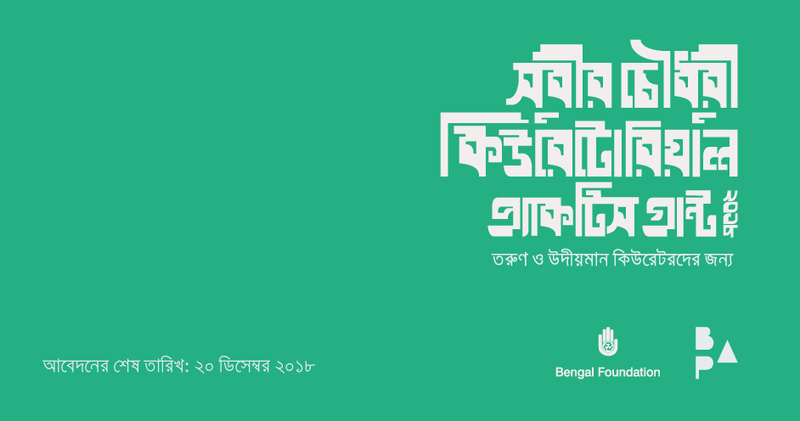 This year, Bengal Arts Programme, associate wing of the foundation has decided to provide the grant to the young and aspiring curator of Bangladesh. The initiative aims to engage the curators in a research based, experimental curatorial practice in the country. The call for Subir Choudhury Curatorial Practice Grant 2018 is now open. Interested curators are encouraged to apply.